It’s another bad grade for the America Kennel Club and the current rubber-stamp system of inspecting breeding operations. The Humane Society of the United States reported yesterday on a breeding kennel in Mississippi, where a former American Kennel Club champion dog was founding living in feces. Wild Bill, an Australian Cattle Dog had been living with 60 other dogs on what is being described as a puppy mill. Some of the worst facilities wave around their AKC credentials like a badge of honor, and draw consumers away from better sources of dogs, such as animal shelters and rescue groups and responsible breeders. 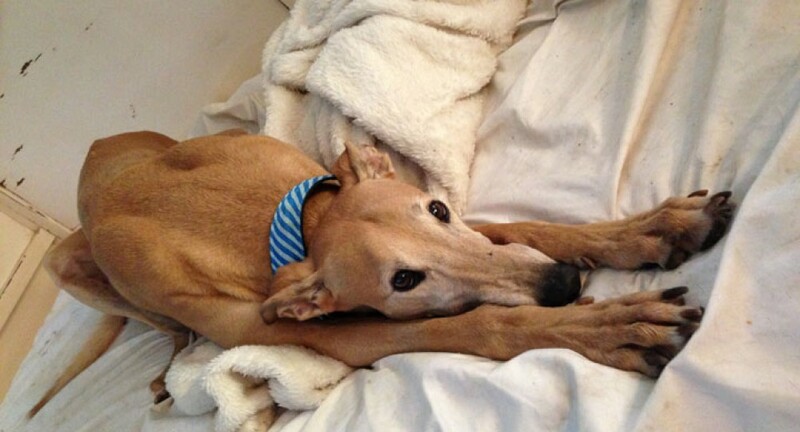 As is the case in greyhound racing, when a dog is no longer making money, it becomes disposable for the puppy-mill industry. We need a system of regular inspections by qualified inspectors in every state in the nation. The American Kennel Club has been at the forefront of opposition to improved breeding regulations across the nation, measures that could shut down more puppy mills. 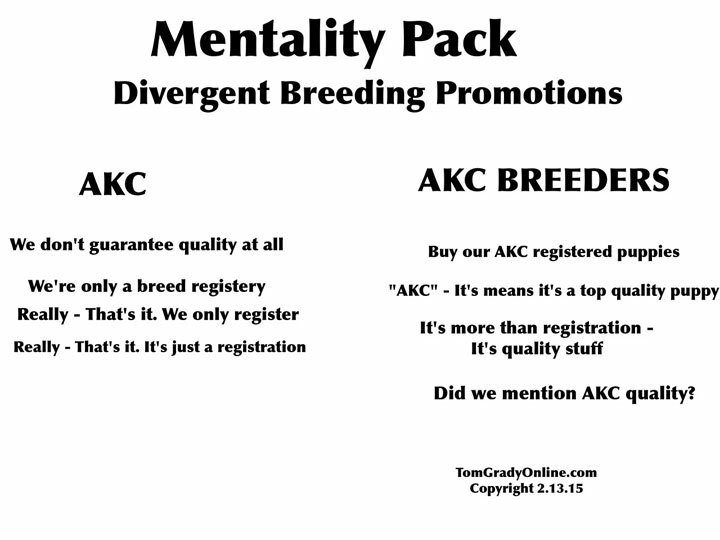 But of course, the AKC receives funding through breeding operations. The more breeders, the more money. So when a state like North Carolina introduces a bill that might close down breeding operations that do not meet minimum standards of care, the AKC kicks its opposition into high gear. The bill would not apply to dogs being bred or kept as hunting dogs or show dogs and would only apply to breeders with 10 or more breeding females on the premises. But the AKC has said it is unfair to regulate breeders more stringently than other dog owners, and it has objected to any state inspection of facilities. True, the bill should regulate all breeders. But to suggest breeders would be regulated more stringently than “other dog owners” is categorically false. If a family was caught treating their pets the way puppy-mill breeders are allowed to treat their dogs, the family would be charged with animal cruelty every time. As it stands now in North Carolina, breeders are getting preferred treatment and protection from prosecution. And to the reference to the AKC’s opposition to state inspections, it’s only about what the breeders have to hind, isn’t it? Quality breeders have nothing to hide. So this is all about protecting substandard breeding operations – period. I read an interesting article from WCNC out of Charlotte, NC – back in late February that I saved to soak in and then comment on later. The headline was – “AKC leads lobbying against NC’s puppy mill law.” The proposed law is in the form of House Bill 930, which is currently held up in the North Carolina Senate. As the article notes, this is a compromise bill and from previous reports contains standards of care that follow those published by the American Kennel Club. Yet the AKC is now in a position where its lobbyist are opposing those standards. WCNC reports all other industries dropped their opposition to the NC legislation, while the AKC continues to fight anything that might cut into the numbers produced by mass-breeding operations; you know – puppy mills. Kim Alboum of the HSUS in NC is quoted as saying – “The American Kennel Club actually receives money for all the puppies that [are] registered through them.” Yes – that is the key. And then a statement from the AKC is included, one based far more on wildly-inaccurate propaganda than facts. For example, the claim is made that the bill would make the job of law enforcement more difficult. This flies in the face of law enforcement statements from around map, where officials are calling for better tools to fight this sort of abuse. The AKC tosses out the tired old claims about the regulations being based on numbers and that they don’t cover hobby breeders such as hunters. But the huge reality is this – IF a bill ever included ALL breeders, the AKC would be first out of the box to scream that is wasn’t fair. This crying about the bill not covering everyone is pure nonsense from groups like the AKC. The NC bill passed in the House 101-14, but some twisting by a few Senate members has it held up there – unfortunately. Another big item of note in the WCNC article is the AKC campaign donations to Senator Bill Rabon, who is a ringleader in blocking the legislation. Finally, we might be seeing a move at the federal level to go after puppy mills. The USDA has announced new regulations to bring dog breeders who sell puppies online or through the mail or by phone under the same guidelines imposed on wholesale breeders. This will be the case for breeders who breed four females or more. The Associated Press story notes these breeders will need to apply for federal licenses and can be inspected by officials with the Animal and Plant Health Inspection Service. The Agriculture Department estimates that up to 4,640 dog breeders could be affected by the rule, along with about 325 cat breeders and up to 75 rabbit breeders. Those oppose to the new rules claim the move will put many breeders out of business. GOOD. Those who cannot comply with basic, humane standards of care should not be allowed to operate at all. The American Kennel Club said it is dismayed by the rule, which is “overly broad and will do more damage than good,” said spokeswoman Lisa Petersen. The AKC always opposes new regulations on puppy mills. Any move to actually force bad breeders to shut down brings the AKC out in force. And get this, the group claims the term “breeding female” is too vague. They probably think the term “compassion” is too vague. And on his blog, Wayne Pacelle of the Humane Society of the US says tens of thousands of dogs housed in puppy mill will gain protection under the new regulations. At minimum, why can’t officials at the AKC understand even this fact? We must impose a system of inspections for commercial breeders. Those found to be abusing animals should be immediately shut down and those found to be operating without a license should be immediately shut down.